On Sunday, I got together with some of my girlfriend’s for our monthly Las Piggies gathering. Once a month we choose a theme or ingredient and gather to eat-up and catch-up. This month’s theme was seafood. My favorite. 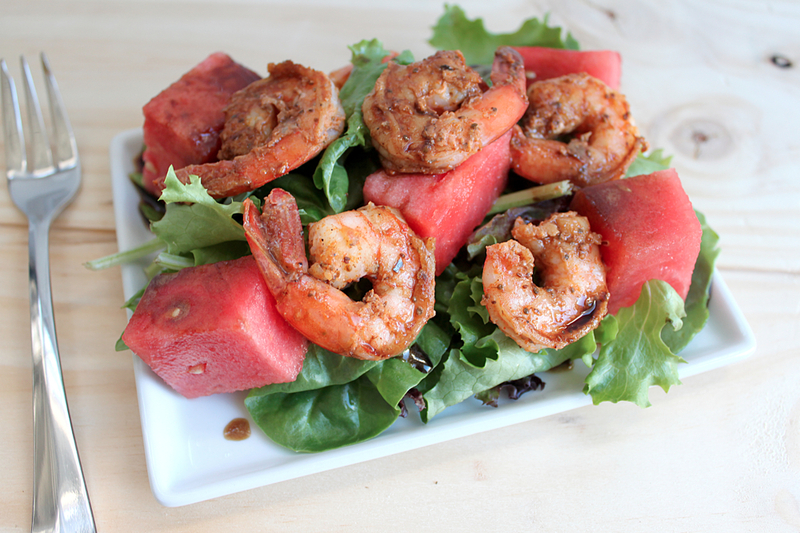 I made a shrimp and watermelon salad using this Epicurious recipe. It was pretty good but I didn’t find the dressing very interesting. And since hubs missed out on the salad (no boys allowed at Las Piggies), I made it again for dinner last night. This time, however, I made a different (much more tasty) dressing. I totally winged it so this is more my process than it is a recipe- all the measurements are pretty rough so please adjust them how you see fit. Mix all ingredients in small mixing bowl. Emulsify with a milk frother like this one. You can also use a whisk or fork but the frother whips the balsamic/oil mixture into a thick, creamy consistency that is wonderful, no separation! 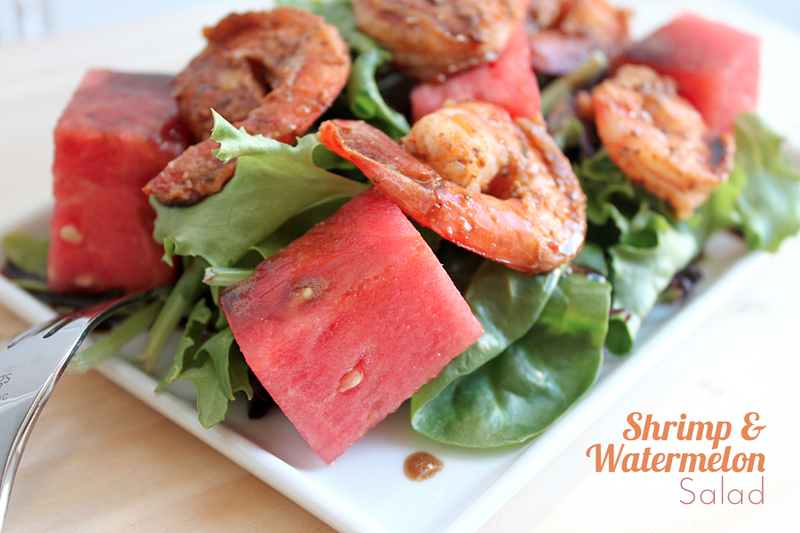 Pour over your watermelon, shrimp and greens et voila! Enjoy!